Each year there’s a company that strives to go above and beyond to fight for the causes that United Way stands for. This year, one of those companies was The Shreveport Times. 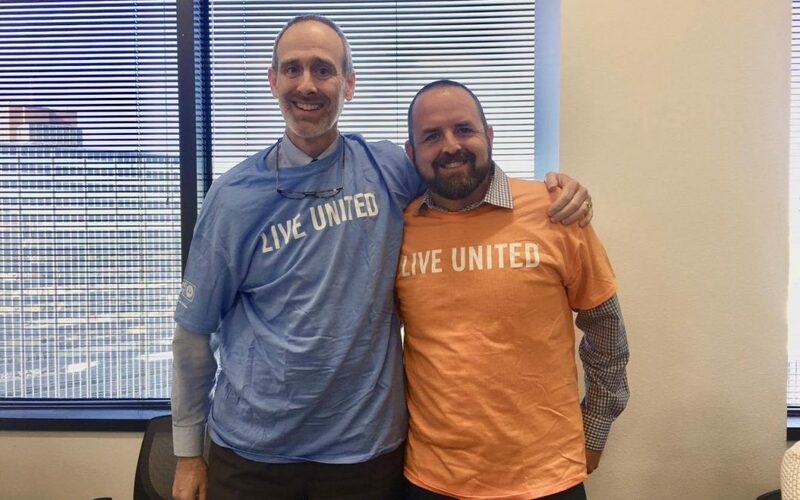 The Shreveport Times has been a supporter of United Way for decades, but it wasn’t until this year where a majority of their staff really embodied the LIVE UNITED spirit. Their fundraising efforts have evolved from a single meeting to an entire week full of fun events. Administrative Assistant with The Times, Cheradee Williams, recruited a team to help plan and execute the week of events. This team created an agenda that began with a “Breakfast from the Boss” where the top executives cooked a hot breakfast for the employees. 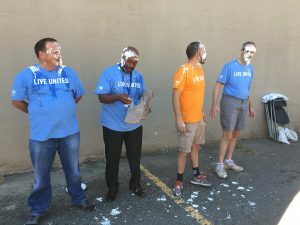 Employees were also given the opportunity to pie their bosses in the face. Other activities included, bowling, a bake sale, bingo, food truck day and a costume contest. Thanks to these planning efforts, The Times not only reached their fundraising goal, they surpassed it. The planning committee successfully raised about 60% more by including fun activities as fundraisers.